Hello. I have a form called ORDER FORM. I am not receiving any of the emails from that form. I am not receiving the new submission notification emails. I just filled out a form and completed a payment as a test and I am not receiving the notification (that someone should receive that they filled out the form). I also have emails with conditions to be sent out and according to my submission, I should have received two of those, but didn't receive any of them. What is going on? I have checked the email history log and see that the emails are being sent from our end without any issue. However, I notice that you are using SMTP sender email to send the email notifications which could be causing the issue. Please check the SMTP settings of the email address used in the account settings. 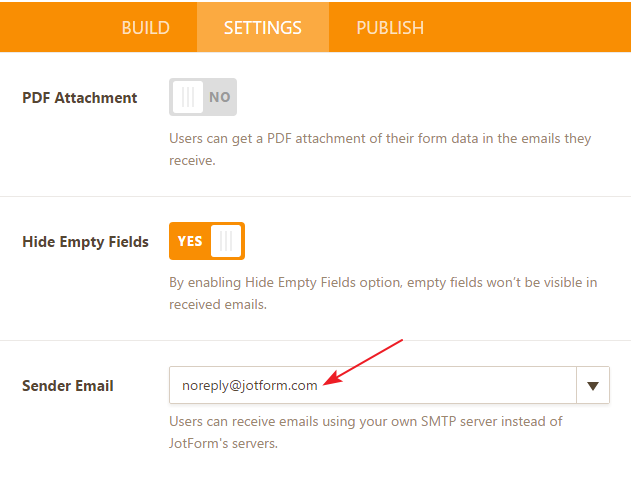 Also, you may try testing the form using JotForm default sender email address.